Desc: Wrought Iron Horse House Plaque. 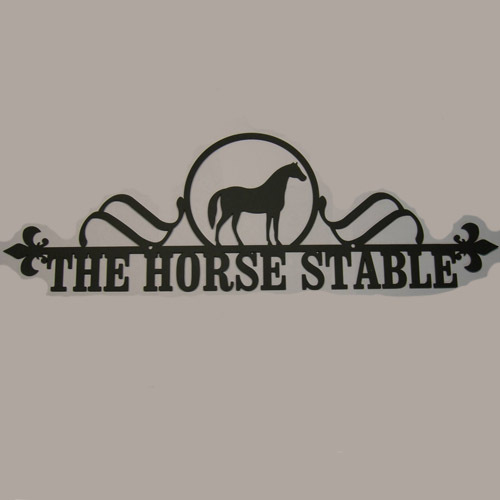 The plaque has a standing horse within a circle at the top of the sign with double swirls on either side of the circle. The words are cut out at the bottom of the sign. The sign is dark brown and has a matte finish. This can be personalized to whatever is desired. This can be one's business name or the name of one's stable or the family name. The sign is made to hang outside and can withstand the elements. Contact us for details.